Processing Disorder (SPD) may have a difficult time appropriately responding to the sensory input that they are exposed to at these community events. Prior to leaving for the orchard or pumpkin patch, prepare your child for what he or she is about to experience (especially if it is the first trip to these fall sites). Have your child look at pictures or books related to these fall activities. Share with them the activities that they will partake in, so they know what to expect (e.g. hay ride, mazes, drinking cider). Discuss safety and the importance of staying together (e.g. holding hands). Some children have a hard time being in close proximity to other people and objects. To help them avoid feeling overwhelmed by this experience in the orchard and pumpkin patch, encourage your child to create a ‘hula-hoop space’ with his or her arms arched in front of the belly and fingertips touching. This will help your child visually see and physically feel how much space should be between him or her and other people/objects. As a family, determine a ‘retreat spot’ at the orchard or patch that you and your children can retreat to help re-organize the body and take a break. with sensory processing difficulties. Communication between parents, teachers and school personnel is critical for establishing a safe, supportive and enriching environment. Children with sensory integration difficulties may have enormous problems in the classroom, not because of a lack of intelligence or willingness to learn, but rather resulting from difficulty coping with a neurologic system that isn’t organizing and responding appropriately to a variety of sensory stimulation from the external world. A well- organized sensory system is important for everything a child does, especially when it comes to maintaining focus and attention in the environment of a classroom. While the child with sensory integration difficulties can benefit from a sensory-smart classroom, so can every child. All children benefit from a calm, distraction free classroom where they can feel more in control, and in turn, improve their schoolwork and social skills. Providing movement opportunities on the child’s seat, or at his desk is a great way to provide necessary sensory input many children crave, while also helping to increase their attention during stationary, table top tasks. Many children with sensory processing challenges have a need for tactile input, resulting in constant touching of objects, and other classmates. For these kiddos, maintaining an optimal arousal level with regular (and non-distracting) tactile input is important. For those children who become overwhelmed with too much visual input, or noise in the classroom, try the following strategies to help them maintain attention and focus. Chewing, biting, or sucking on hard, crunchy items can be very regulating and calming for kids with sensory challenges. A diet is defined as the food and drink considered in terms of its qualities, composition, and its effects on health. A well-rounded nutritional diet promotes appropriate development and growth. In the same manner, the sensory system needs a proper “diet” of stimuli in order to process information, promote regulation, and promote efficient processing of sensory information. A sensory diet, a term coined by occupational therapist, Patricia Wilbarger, is a personally designed and individualized set of activities prescribed to an individual for regulatory and attention needs. gum during a conference to stay alert, listening to music to “unwind” after a long day, going for a run, etc. 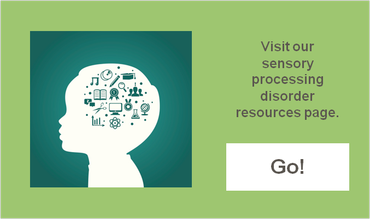 A child, especially one with sensory processing difficulties, sometimes needs to be taught these regulatory behaviors. Unwinding for a child could mean swinging, doing heavy proprioceptive work, or eating crunchy food. Each child has a unique set of sensory needs. A child who always appears “on the go” would require a sensory diet full of calming and “grounding input”. A child who appears “tired/sluggish” would require a sensory diet full of alerting and arousing input. Ease difficulty in transitions and changes in routine, encouraging cognitive flexibility. When children are upset, adults are usually able to tell by their behaviors. Some children scream, others cry, throw things or hit someone or something nearby. Below are some therapeutic solutions that can help to calm an angry child safely and effectively. from becoming angry. For some children, this may look like hitting their pillow, running, jumping rope, or playing on the swing set. Other children prefer crawling into a safe, but compact space (such as in between a mountain of pillows) or inside of a self-made fort full of cushions, pillows, stuffed animals, and small fidgets. Providing proprioceptive activities, including back rubs, massages, or bear hugs can be helpful tools to use when trying to manage emotional regulation. Teach your child self-calming breathing strategies. When your child is visibly upset or angry, instruct them to breathe in like they are smelling flowers for 5 seconds, and exhale like they are blowing out birthday candles for 5 seconds, for up to one minute at a time. This helps to trigger the parasympathetic branch of the autonomic nervous system, which is responsible for calming the body down and reducing stress (click here for 5 yoga activities to help your child calm down). Be proactive. Use a visual chart to help children remember safe ways to manage their anger. Using language such as, “When I feel upset or angry, I can…” combined with visuals of previously learned strategies (deep breathing, back rubs, fidgets, bear hugs, etc.) can help your child learn how to independently manage anger appropriately. When your child is angry, it is important to avoid immediate punishment. Identify a safe, quiet place for the child to go to so that they can implement self-calming strategies to help better their mood. For younger children, set a visual timer for 5-10 minutes. Let the child know they have until the time runs out to calm their body down, and give them a choice of 2 strategies to help them feel better. For older children, encourage them to set a visual timer to decide on the length of the time-out before they are expected to return to the activity.